Rarely does a high-end manufacturer make a new product available for review well in advance of its official release. Usually a new product is announced at an audio show like Munich High End, and its market delivery is targeted for several months after the announcement. Yoav Geva, principal designer at YG Acoustics, was way ahead of schedule in the case of the Sonja 2.2. He and his manufacturing team were able to make an advanced production pair available exclusively to TAS several months before the speaker’s official release, scheduled—as of this writing—for sometime in December, 2017, most likely at special showings hosted by YG and Bill Parish at GTT Audio. I reviewed the original Sonja 1.2 in Issue 256. As good as that speaker still is, the new 2.2 is better in some significant ways. I will cover the engineering changes that are responsible for the increased performance later—such as a brand-new kind of dome tweeter—but let me summarize the primary sonic improvements as follows: higher resolution of fine detail coupled with an increase in overall “ease,” a bit more bass heft, better definition of complex musical lines during demanding musical passages, and an expanded and more continuously rendered soundstage such that the speakers blend into the soundscape even more seamlessly than before. I didn’t believe such improvements were possible to the extent YG has wrought, given the 1.2’s already outstanding performance, but the company has indeed done just that. The Sonja 2.2 is worthy of serious consideration for anyone in the market at its $76,800 price level—and even higher, for that matter. This price segment of the market has been filling up with more products for some time now, and the upper end pricing is rising even further. $500k+ speakers and $150k+ turntables are now well within price frontiers, just like $5 million Manhattan condos and $100k automobiles are not considered unusual anymore. I don’t condone it, nor do I play at that those price levels, personally. I am merely characterizing what seems to be trend in the broader “luxury” market. Having said that, I do not believe the 2.2’s $76,800 price is unduly elevated simply because others are doing it. YG designs and manufactures high-quality speakers in the U.S. where labor and other costs are higher than, say, Asia, and it makes the vast majority of its products’ constituent parts at its factory just outside of Denver, Colorado. Driver membranes, cabinets, toroidal inductors, internal braces, joiners, and even custom binding posts are all manufactured in-house. YG uses high-grade raw materials for the parts it manufactures and top-quality parts from vendors such as Mundorf (capacitors and inductors) for the components it must source from others, all of which increase costs. What are some of the other costs? 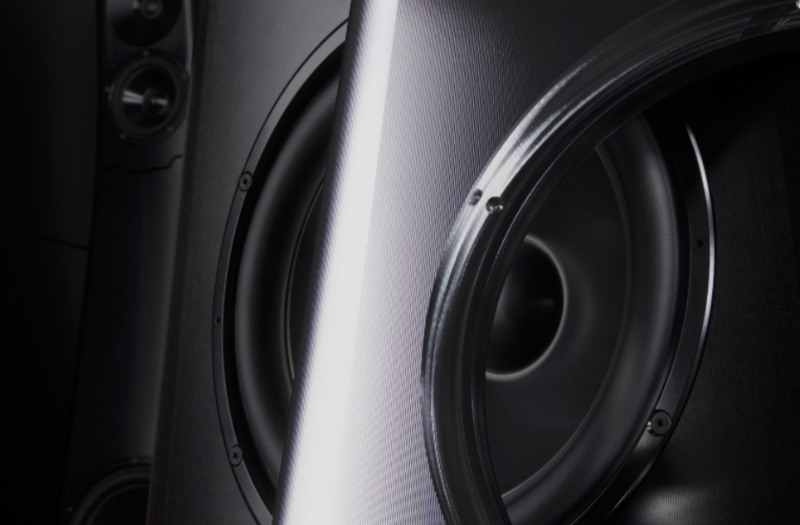 YG machines the vast majority of its speakers from aircraft grade (6061-T651) aluminum billet—to a 20-micron (0.0008") tolerance in some applications. Many of the billets are large and heavy, so raw material stock and shipping costs are high. The various milling and turning machines needed to meet YG’s capacity and exacting demands are expensive, over $2 million combined thus far. The costs of the skilled labor to program and maintain the CNC (computer numeric control) machines and the consumables (tool heads, bits, etc.) are considerable. YG machines driver cones from solid aluminum blocks, which it calls “BilletCore.” Each BilletCore radially- and concentrically-ribbed driver cone takes about four hours to mill on a five-axis CNC milling and turning machine imported from Germany, a Gildemeister CTX Beta 1250 TC. The Sonja 2.2 is a two-module design (main unit and bass unit) and is now available only as a fully passive system; the former powered bass module option is no longer offered. Consumers may opt for the Sonja 2.3, which adds a different bass module, bringing the price from $76,800 to $112,800. The three-module configuration increases the height from 51" to 70" and the weight from 271 to 481 pounds. The main, upper module houses two 6" aluminum BilletCore mid-woofers (unchanged), and a brand-new 1" waveguide-mounted “BilletDome” silk and airframe dome tweeter in a D’Appolito (MTM) arrangement. (I will cover more on this groundbreaking, patent-pending tweeter below.) The crossover point remains at 65Hz between the bass module and main module and at 1.75kHz between the mid/bass drivers and the tweeter. The two-way, 124-pound main, upper module (known as Sonja 2.1) can be purchased separately as a stand-mounted monitor (for $40,800) to which the bass module can be added later to form the three-way Sonja 2.2 system reviewed here. The 2.2 bass module has one BilletCore 10.25" driver, which is positioned fairly low in its gently curved, tapered cabinet. YG found that this location maximized consistent bass performance through the driver’s proximity to the floor, in addition to minimizing cabinet resonances. Each module has an inner cabinet, which is mounted inside an outer cabinet. They are not merely double-layered as such. Each box has its own joints and can function as a stand-alone cabinet. This extra manufacturing complexity must surely add significantly to the overall cost, but YG says it makes each complete cabinet much more rigid and better damped than either an equivalently thick single-layered or a shared-joint, double-layered enclosure. Sonja 2, Sonja XV Jr., and XV (YG’s $265,900 four-tower flagship) are the only models in the line with this cabinet-in-cabinet construction. The new BilletDome tweeter is also currently only available in Sonja models. YG does not use any batting or other soft materials inside its cabinets to dampen the drivers’ backwaves. YG says such materials cause mechanical loss and degrade performance. All internal damping is handled by precise placement of braces and by an unspecified material in a proprietary method of pinpoint resonance control that YG calls FocusedElimination. Incidentally, the other speaker with which I am familiar that also does not contain soft internal damping material (or only a bare minimum of it), like those from Arabesque and Gamut, share a dynamic vibrancy with YG speakers.